Come and experience the real Marco Island! 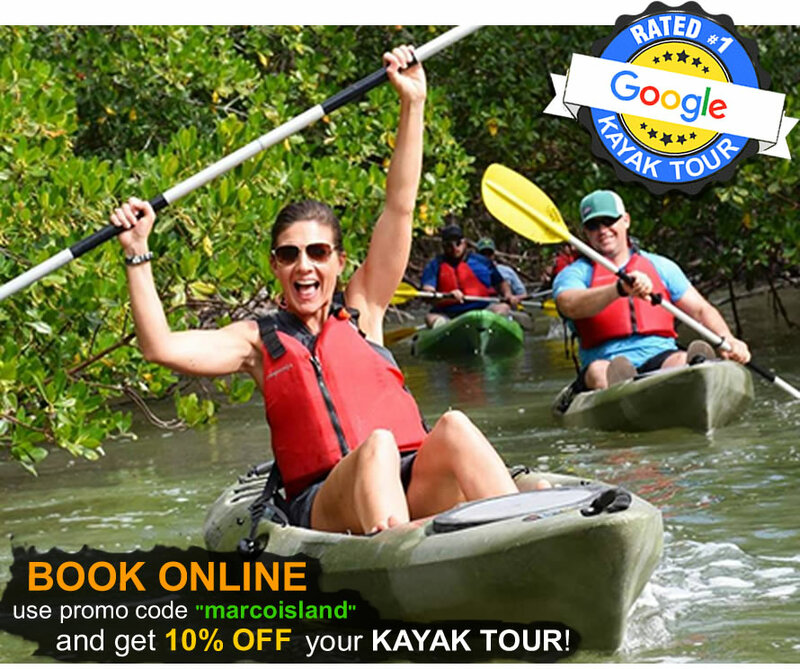 Our kayak tour guides will take you through beautiful mangrove tunnels while looking for wildlife like dolphins, tree crabs, sea urchins, birds and more. During the kayak tour we'll be teaching you about your surroundings and we'll be taking free HD photos of you and your family that you'll receive the same day. Everyone gets their own single-seater kayak. We also have 2-seater kayaks if you have small children or enjoy arguing with your spouse. ...and don't worry, there are no alligators! Read more or Book online. Use promo code "marcoisland" to get 5% off! Marco Island has the best kayaking and paddle boarding in the world! Kayak and Paddleboard rentals include free delivery and pickup to all homes and condos on Marco Island. Our 3-day and weekly rates are very popular and the lowest priced in town. 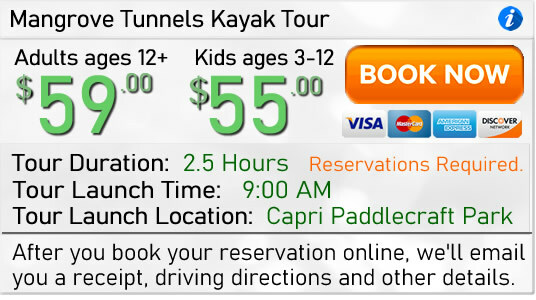 We also have hourly rentals at Caxambas Park and Paddlecraft Park. Explore the canals and waterways of Marco Island today! Give us a call: (239) 778-7418 or view more info & rates.